The Bristol Cable – get involved! We have a serious problem with media plurality in the UK. * Just three companies (News UK, DMGT and Trinity Mirror) control nearly 70% of national newspaper circulation. * Just five companies control some 70% of regional daily newspaper circulation. * Out of 406 Local Government Areas, 100 (25%) have no daily local newspaper at all while in 143 LGAs (35% of the total) a single title has a 100% monopoly. That’s why I’m involved with The Bristol Cable — you can get involved too! 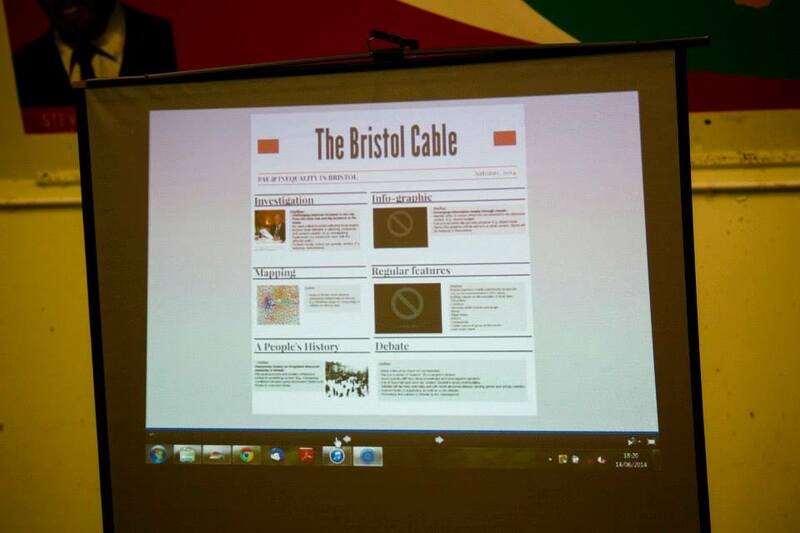 The Bristol Cable is people’s media co-operative, created, owned and produced by people in the city. With a multimedia website and a bi-monthly free print edition, The Bristol Cable is building the tools and platform for people to engage with their communities, the city and the wider world. ← ‘The Island at the End of the World’ in post production!